Pesto stuffed chicken wrapped in Parma ham - home cooked food delivered. 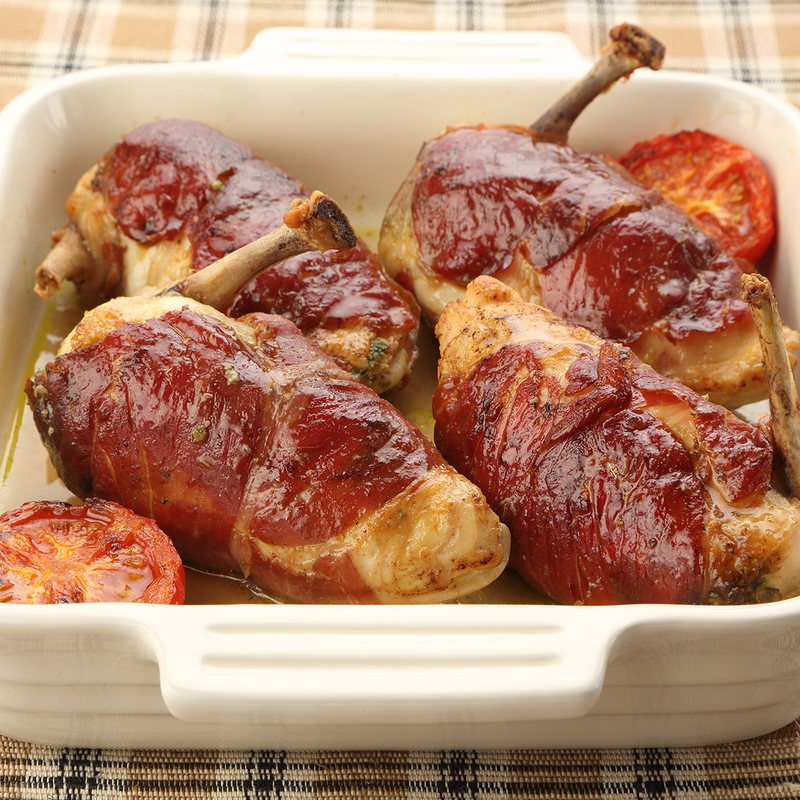 Plump chicken breasts oozing silky, savoury pesto and wrapped up tight in delicious Parma ham, complemented to perfection by sweet roasted tomatoes. An inspired taste of Italy but with no need to dig out your passport – or even your jacket! Guests will absolutely love this dinner party treat. Prime chicken breast, Parma ham, chicken stock, fresh basil, olive oil, pine nuts, garlic, parmesan, seasoning. Preheat the oven 180c. Place the contents in roasting tin, cover with foil and a splash of water and cook for approx 25 mins till piping hot.